The Poison Spyder JK Light Bar Mount for Jeep Wrangler JK 2007-2016 is an easy, great looking way to mount a Rigid Industries 50 inch E-Series or SR-Series LED light bar over the windshield of your Jeep JK Wrangler. Available in either steel (this part number) or light-weight aluminum these Light Bar Mounts are CNC laser cut from 3/16 inch thick plate, then precision brake-formed and finish welded. The contoured, gusseted design provides the strength need to hold the massive Rigid 50 inch light bar securely in place on the highway or in rough terrain. Installation is simple, using the existing lower windshield bracket bolts. Rubber liners are provided to protect the Jeep paint underneath the mounts. 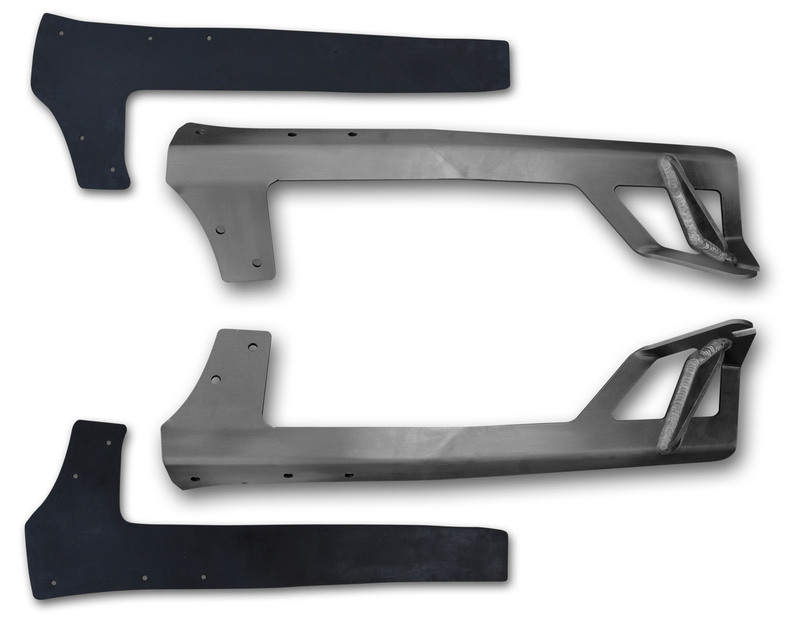 Mounts are shipped as bare steel or aluminum, ready for you to paint or powdercoat in the color of your choice.